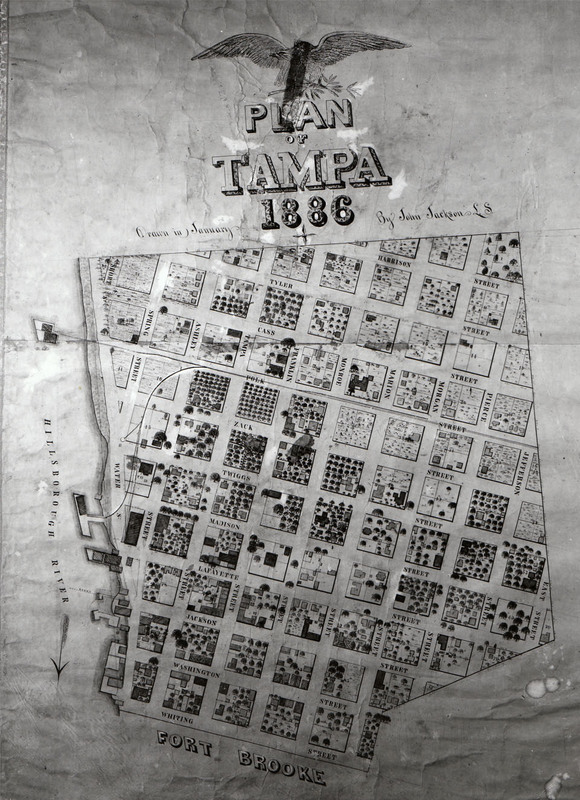 An old map of the city, drawn by John Jackson in 1886. The modern aerial is from 2008. Notice change in the amount of flora and small residential buildings in the historic map verses the modern aerial. 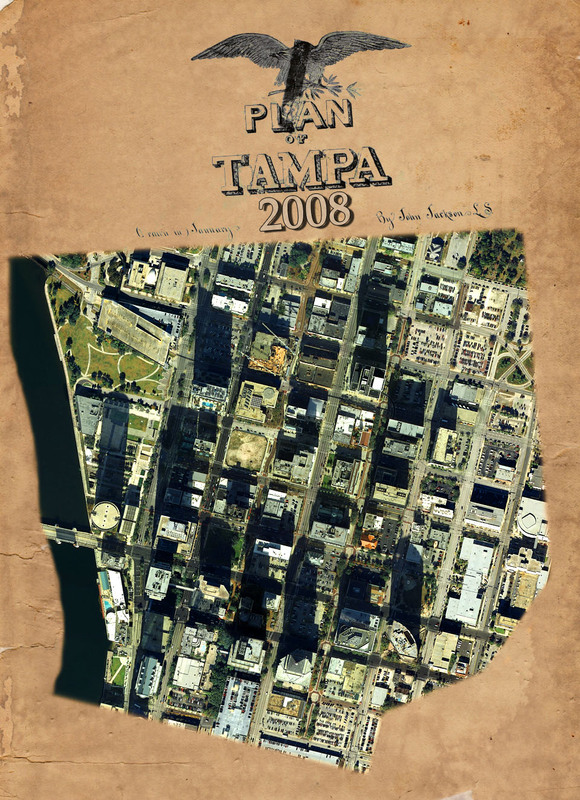 Also notice the missing roads and the reclaimed land where the Tampa Museum of Art is now located. Bryan, what a creative idea! I love it. Great idea and twist on the rephotograph idea. Thanks, I’m glad you two like it. Let me know if you find other old maps I can do this with too.